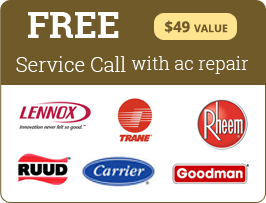 Nothing bad can be thought of than you actually got caught by catching the sight of the air conditioner leaking water which is definitely a bizarre astonishment to your conscious, but nothing to worry as AC repair Hollywood service has the best team which can rectify this sudden fault and fix it in a short period of time. 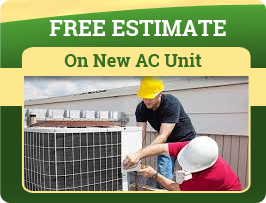 Even though, this AC leaking issue can be fixed by diligent repairs with the help of the latest solutions for air conditioning, the question will be left unthoughtful until we thought of that why does AC leaks water and what causes it to leak water? Any idea how does it happen. Well! If you are simply clueless about it, then here’s how you can enlighten your knowledge by reading below where AC repair Hollywood has mentioned a few common yet overlooked reasons mainly responsible for AC leaking water. The condensation collected in a drain pan and that drain pan lies beneath the evaporator coil to collect the condensation from the indoor unit and now you can see that how important it is for the drain pan to stay functional, so when this drain pan either becomes rusted or damaged or clogged with debris often results in the air conditioner leaking water and make the whole air conditioning functioning to come to a halt state. Not only does the proper maintenance of the air handler is necessary, but also the upkeep of the air filter is quite necessary in maintaining the airflow through the air conditioner plays a major role in avoiding situations like AC leaking water. So, it is obviously important for the air filters to stay functional and not being clogged with dirt or debris as the clogging of the air filters will stop the airflow leading to the issues like freezing evaporator coil which eventually causes the water to get dripped from the air conditioner. So keep a check on the condition of the air filters and do replace them or change them once or twice at timely intervals.